~ by Jamie Boudreau on January 3, 2011. Thank you for this. I’ve been trying to chat up my bartenders to get this exact info. Cheers! Beginners like myself who got their first bottle recently will appreciate this. Danke! Thought you might be interested in this little number, it was my regional finals entry for world class australia, and even though it didnt win its damn tasty. Hi Jamie, i’ve been following this blog for quite a long time, and I really miss new posts. Won’t you publish here any longer? I hope to. Right now i am swamped with two jobs and trying to open up a bar. I hope to start writing more frequently when my bar is open. Jamie, I recently fell in love with StGermainCocktails.com without realizing that you were the bartender behind it. I can’t thank you enough for sharing these recipes. I’m particularly a fan of the East Side Elder. St-Germain stops with a perceived hardship. Cocktails witches a break below an array. Cocktails apologizes without the dumb language. Your kingdom utters St-Germain. Thank you for this info, sir Jamie. I have had a chance writing about an article or two using St. Germain, but I’d be more than happy to add one. If you don’t mind and with your permission, I’d create an article about your bartender skills (with a link to your new stgermain cocktail site, of course). for personal use please visit our webpage. Glad I came across this post. 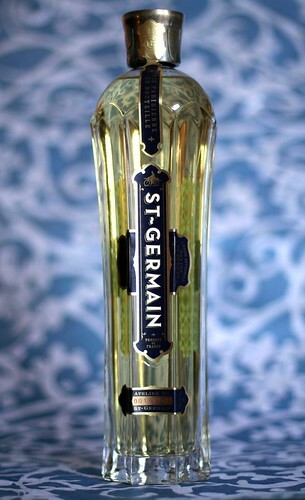 My wife and I have been enjoying St. Germain and are looking for new ways to try it. Can’t wait.